By the time Grant Larson was twenty, he had battled cancer not once, but twice. In 5th grade, Grant was diagnosed with leukemia. 10 years later, in June of 2015, Grant received an unrelated diagnosis of osteosarcoma in his right leg. Once again, he was battling for his life. 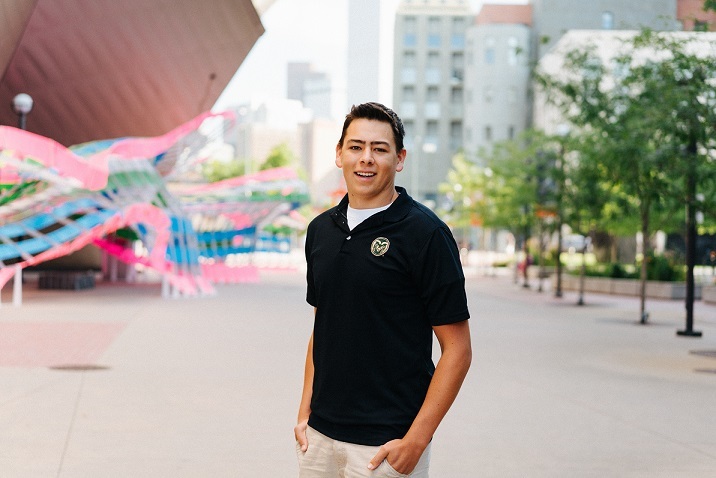 The diagnosis of bone cancer forced Grant to withdraw from his studies at Colorado State University in Fort Collins, and move home to Denver, Colorado. It was in Denver that he could receive the best care possible, under the guidance of orthopedic oncologist Dr. Ross Wilkins and oncologist Dr. Julie Zimbelman. Grant believes his mindset was critical to getting through treatment. “I knew what I needed to do, feeling bad for myself wasn’t going to help.” With the support of his family, friends, faith and expert medical team, he navigated through nine months of chemotherapy and a limb-salvage procedure to remove the tumor and save his leg. Today, Grant is in remission and living a much more normal life filled with work, friends, sports and music. He has returned to CSU, where he is pursuing a Sports Management degree. The Limb Preservation Foundation is honored to support Grant in his studies through the Extremity Scholarship Award. Casey is a very handsome 6-year-old Golden Retriever who was diagnosed with a torn ACL in March of 2016. When his veterinarian went in to do surgery, Casey’s ACL was perfectly intact, but instead a tumor was found. 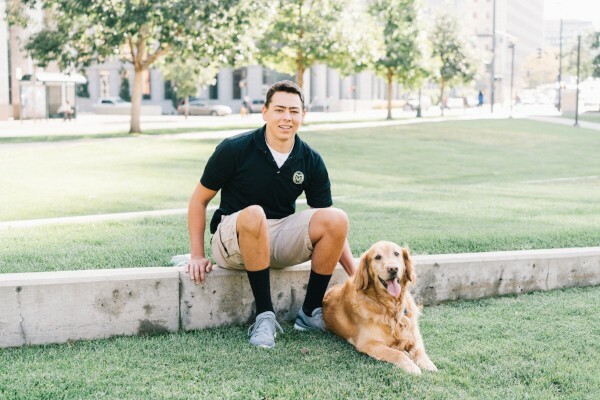 After a diagnosis of osteosarcoma, Casey’s vet immediately referred him to Colorado State University Animal Cancer Center. Casey began chemotherapy and underwent an amputation shortly after his diagnosis. His parents were concerned about how he would adjust after the surgery. They went so far as to build Casey ramps to accommodate his new normal. Little did they know, Casey would do so well with three legs that he wouldn’t use the ramps at all! Casey still enjoys his morning walk, exploring off-leash and chasing rabbits and squirrels!